Through our personalized medication compounding, we are able to provide the precise dosage your pet needs in a dosage form that is easy for your pet to take. We all love spending time with our pets but if there is one thing many of us have in common, it is the dread of trying to provide your pet the medication they need. Your pet hates this as much as you! Medicating your pet is a struggle because if it is not done properly, the animal may scratch you, bite you, or it may even cause trauma to the animal as well. However, there are some tricks to give your pets the medication they need, such as hiding the meds in their food or in their favorite treatment. Along with these daily struggles, there are some medications that are not appropriate for your particular pet. For example, it can be hard to provide the proper dosage that your pet needs or it can be difficult for them to actually swallow the medication. Camby Low Cost Pharmacy offers you an easier way to provide your pets with the medication they need. 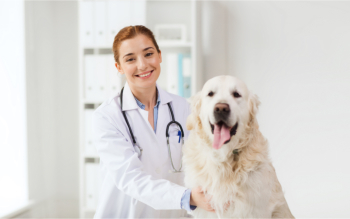 Through personalized medication compounding, we are able to provide the precise dosage your pet needs in a dosage form that is easy for your pet to take. Compounding will not only help your pet improve their health but it will make the entire process easier and less stressful. Camby Low Cost Pharmacy can make it unnecessary for you to hide your pet’s medication in their food or treats. We are able to create a medication that smells great, tastes great and looks great just for your pet, so they will have no qualms about taking it. Medications for cats require a different approach. One such preparation we have for feline pets is a topical preparation that can be applied into the membranes of your cat’s ear. We can also create a tasty paste that can be rubbed on the legs of your cat so when they groom themselves, they will be taking their medication. We can provide you with the perfect solutions to the problems you are facing when medicating your pet. Before you use any medication, make sure to consult with your compounding pharmacist to find the best treatment. For more information, please give us a call at 317-548-8015. We can make your life and your pet’s life easier today!